) at little clubs in Stockholm. Two years later, in 1984, a Czechoslovak immigrant, Robert Jelinek, member of the Creeps, joined the group so that the sound and the look changed becoming wilder. 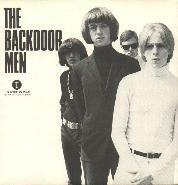 The Pow turned into the Backdoor Men and started playing covers of the Chocolate Watch Band, Music Machine and Standells. Tracks On Wax engaged them and in August 1985 released their first killer-single. 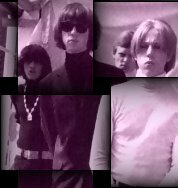 At that point new songs were ready to be issued ( Another Way Of Giving , Going Her Own Way , Sonics' Going Home , Music Machine's People In Me ) on a mini-LP temporarily titled The Backdoor Men Strike Italy! and scheduled for March '86 on Electric Eye label, but instead, only a second wonderful 45rpm saw the light on Fab Records. 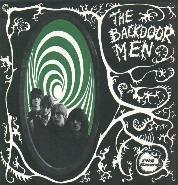 Shortly after, the Creeps of Jelinek (and Ingemansson) made their debut releasing a magnificent album, and at the end of December the Backdoor Men didn't exist any more. As for Ismail, he issued a splendid single with the Livingstones in September 1987. Pics by Mikael, H. Cecillia, D. Jonnie, E.